Popularity Newest products Lowest price Highest price Name ascending Name descending All brands Bean Sprout, Inc. Expertly roasted coffee by Bold Bean Coffee Roasters, located in Jacksonville, Florida. 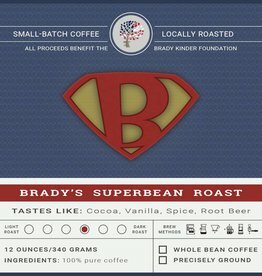 All proceeds from the sale of Brady’s SuperBean Roast benefit the Brady Kinder Foundation.